A proper skincare regime pays off for everyone, which is why Somersets offer a complete range of products to suit every need and skin type. They say that when someone goes for a job interview, potential employers make up their minds within the first few seconds, so first impressions make a big difference. We don't promise that silky smooth skin will get you your dream job, but looking good may just give you a head start. Men's skin is oilier than women’s, so helping yourself to your partner’s products won’t do the job. You'll also need something that will prepare your skin for shaving so a cleanser that removes grease and grime, and clears blocked pores is a good start. Ladies, the Somersets range is growing for you too! We already have 2 fabulous oils which moisturise your skin as you shave, they're quick and easy to use in the shower and give silky smooth results. Coming soon is our new pre-shave scrub and post-shave balm. Exfoliating a couple of times a week removes dead skin cells which dull the complexion, and reveals fresher, younger-looking skin. Our range of pre-shave has an exfoliating face scrub for men and an exfoliating body scrub for women coming soon. These contain jojoba beads that gently remove dead skin cells and won’t scratch or irritate your skin. even the most delicate areas. 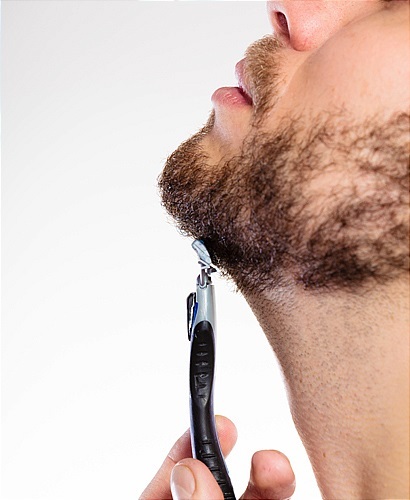 to help the razor glide smoothly. which enables you to get in close. you need in this range. 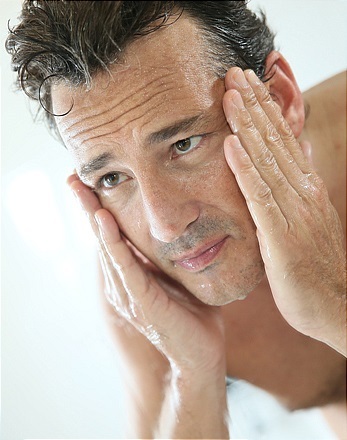 Skin loses moisture, especially as we age. A good moisturiser will condition the skin and help protect it from the elements. Somersets Post-shave replenishing moisturiser with SPF15 promotes healthy-looking skin and defends it from UV rays, even on cloudy days. Apply in the morning after shaving and at night after washing. Somersets Restore & Repair Post-shave balm for men, with soothing Chilean Rosehip seed oil, helps heal the skin from the effects of shaving, and restores its natural moisture balance. Not to be confused with aftershave, and much better for your skin! Coming soon for women we are developing bump balm to sooth and heal the skin after shaving, preventing any nasty bumps and rashes from appearing. Apply these after shaving with the Somersets gel or oil that’s right for your skin.